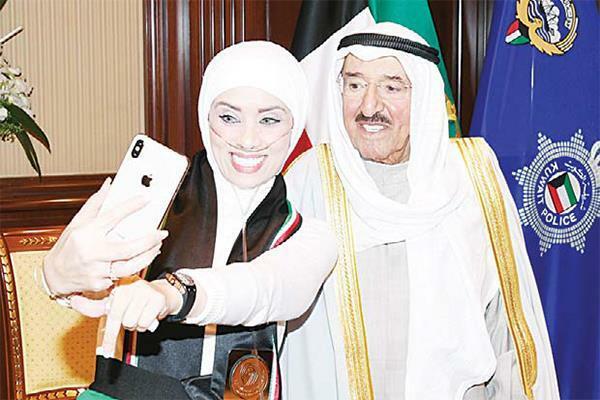 KUWAIT CITY, Feb 11: A young Kuwaiti girl fighting cancer said on Monday she was given a glimmer of hope after her meeting with His Highness the Amir Sheikh Sabah Al-Ahmad Al-Jaber Al-Sabah. Meeting His Highness the Amir was a childhood dream that came true, Shaima Al-Eidi said after the encounter, where she bestowed upon His Highness a certificate dealing with Kuwait's humanitarian contributions. She also handed His Highness the Amir a copy of a book she had written about the need to generate awareness over childhood cancer, in addition to a website she launched welcoming stem cell donations to help kids fight cancer. She went on to express her appreciation over the 'fatherly advice' His Highness the Amir had given her amid the encounter.